Totentanz- A world only lit by fire came to daylight through occupying an old cave running almost 80 meters underground. 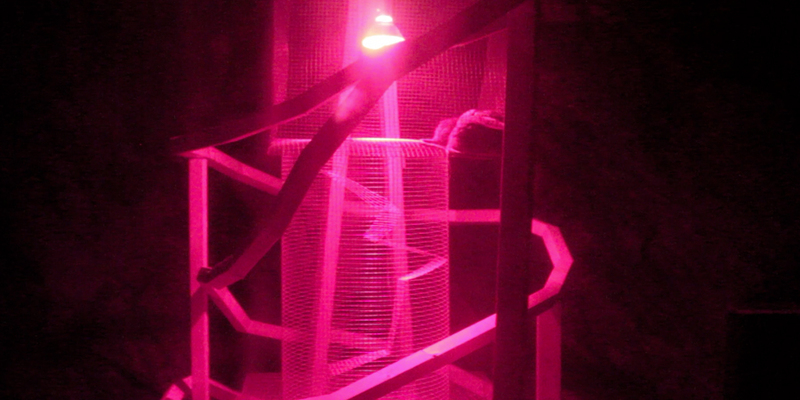 We were given access to the space that had triggered an idea of a new work sphere. 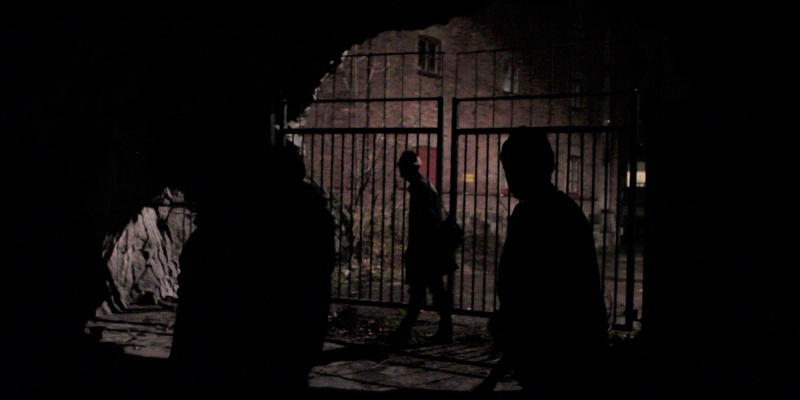 A dark wet and abandoned space, was the cornerstones for the approach we decided to take on this performance. I constructed a sculpture mimicking the Tatlin tower and a geometrical ratcage at the center of the construction, holding 500 gram tame rats and the ability of climbing all three objects from the inside on 3 different levels. The performance concisted of a minimalistic working choreography between the builded objects, constructed blind spots in the already dark middle of the cave. A petrol generator echoed any other sound out and made the nescessary power for the infrared lamps keeping the rats warm. A mixture of mature urine and petrol was spayed on the walls in the cave and made a distinct odour when moving about in the wind passing from one end to the other. The audience came in groups of fifteen with an interval of fifteen minutes. The directions given to the visitors where strictly formulated as of no light sources within the premises to be used at any moment and no cigarettes due to the fumes of the petrol. But they were soon ignored and we knew that we had to adjust the choreography to these circumstances. From the blindspot we gave very direct commands to turn off mobile light sources (SLÄCK LAMPAN) and people responded with deep doubt and suspicion. Totentanz was performed and constructed in close encounter with Åbi Berglund. Parallel to Totentanz we hosted The Currency Converter, a powerpoint karaoke for the attendees of Panopticum. With a scenography of classical office decor from the ninetees and a liberary of thousands of old foregotten powerpoints, it didnt resemble anything contemporary. With several performers trained and instructed beforehand, they worked as warmups for the more timid individuals of the crowd.